Line 9x9 pan with wax paper. In a hi-speed blender or food processor, combine 2 cups raw almonds, Xagave, melted coconut oil, vanilla, and salt. In a separate bowl, combine oats, 3/4 cup shredded coconut, coconut milk powder, half of remaining chopped almonds, and currants or dried fruit of your choice. Stir almond mixture into dry ingredients. Reserve left over almonds, shredded coconut and chocolate for topping. Spread mixture into pan. Cover top with wax paper and press evenly to compact. In a small pan, heat chocolate on low, stirring constantly until melted. 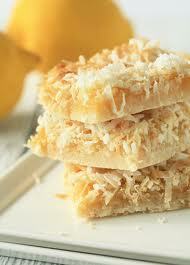 Spread evenly over top of bars and sprinkle with remaining shredded coconut and chopped almonds. Let set at room temperature overnight uncovered.